Funnily enough, the band Birdseed from San Francisco, California was formed by middle-aged hobby musicians, who had met at school events of their descendants. After finding out that each other’s favorite hobby is the music, a band was started. The combo released from the end of 2015 a few digital singles, which were now summarized on the EP present to me. The essence of the five tracks in total can be compared to the Fleetwood Mac sound in the early to mid-seventies. Cool Pop / Rock, so to say, who benefits from a clever groove and a strong lead vocalist. The title song “Not Out Of Time” starts the journey pleasantly rocking and the voice of Kerry Reed Landreth has that certain something that is so eminently important for every front man / woman. The track is very harmonious, variably arranged and loosely flaked over, which makes him a first winner. “Next Trip Around The Sun” starts off with an e-piano sound before the notable vocals take over the scepter. The ingredients mentioned above are also added here and make this number a listener. With inviting guitar sound and piano, “I Want You To Know” starts the second act. Musically maybe not the best track on the disc, which is the strong text (the mother’s declaration of love to her child, probably not many years later can really understand) will be made up for. Background is probably that Kerry Landrethdiagnosed with incurable breast cancer a few years ago, she wanted to leave a statement here, so to speak. The shortest song of almost three minutes is called “We Can Do It” and builds again on a really cool groove. This works and harmonizes wonderfully with the vocals and the very positive or optimistic lyrics. The unfortunately last title “More Than I Needed The Truth” keeps the quality quite relaxed and invites you to enjoy the complete work “Not Out Of Time” right from the beginning. 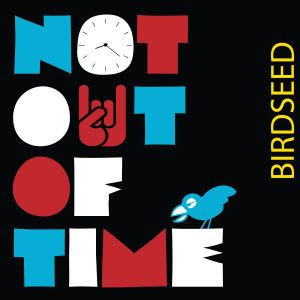 Both the band Birdseed and (especially) the frontlady Kerry Reed Landreth can only wish to spend a lot of time to music and new recordings, because the present (on vinyl quantitatively limited) “Not Out Of Time” makes a great mood and goes splendidly into the ear. Relaxed music with profound lyrics, which at no time lead the listener to the uncomfortably sad feeling trail, but rather powerfully forward looking to convey an uplifting feeling. Here is everything you need to know about how digital trends are shaping the future. Wow your audience and attract more fans with help from this article! Check out TuneCore Blog’s great tips for Indie artists! If you need help with crowdfunding then check out this great article! “We’ve all been wowed by crowdfunding campaigns that have surpassed their goals by thousands, and we’ve all been bummed for the folks whose effort raised drastically less than what they hoped for. The thing is, crowdfunding—the hit-your-goal-and-then-some type, at least—is really difficult. Loads of work goes into running a successful campaign, from strategizing and launching to constant upkeep throughout. The way you present your project and the motivations behind it truly matter; in crowdfunding, those factors are almost as important as the music itself. Click Here To Read More Of This Article By NYC-Based Musician, Brad Allen Williams. Hey artists, make sure you’re aware of these bad habits so you can avoid them when writing music. “At the heart of every music production is its basic building block—the song. It’s the key element, because if you don’t have a great song or songs, you won’t have a great record. You can have the most brilliant players provide excellent performances, and you can do a masterful production job, but if the songs aren’t there, not much of the audience is going to care beyond the first listen. Indeed, music history is littered with artists, bands, and records that had everything going for them except the most important thing: the songs.